Yesterday, we got the chance to explore the Canadian Museum For Human Rights. 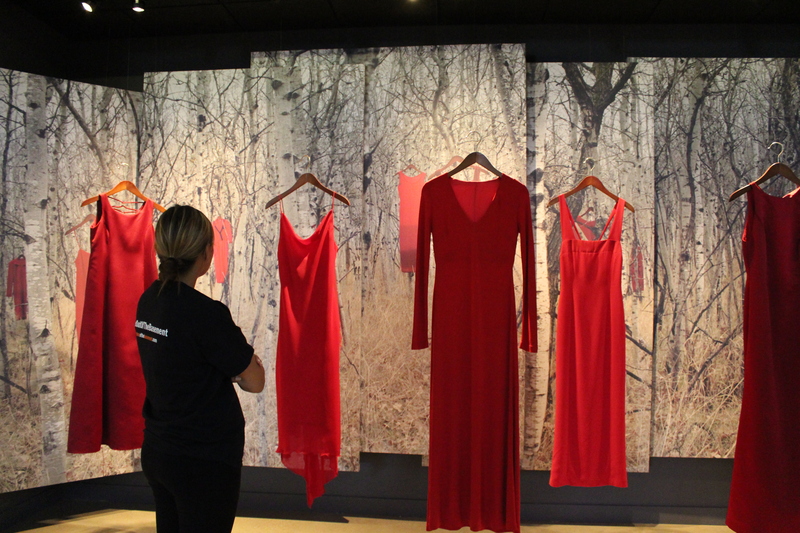 We walked through many floors and exhibits, but two that stood out to me were the Residential School exhibits and the exhibit to honor the Missing and Murdered Indigenous Women. I am a descendent of a Residential School survivor, my grandmother. During high school, I focused most of my English projects on Residential Schools. I did a lot of research and obtained a lot of knowledge about what happened, where it happened, when it happened, and why it happened. Whenever I see things regarding the system, I try to take as much interest in it as possible because I know my grandmother endured that during her childhood. Many children didn’t make it, so I am thankful my grandmother and other relatives did. As youth, we have a voice. We have an opportunity to stand up for what we believe in and a responsibility to encourage others to be open minded. The topic of Missing and Murdered Indigenous Women has played a huge role in my life since I was thirteen. I recall hearing about young, vulnerable women whose lives were cut short or went missing and were never found. I always tried to be cautious of my own surroundings as I hoped for answers in the cases of the missing women. 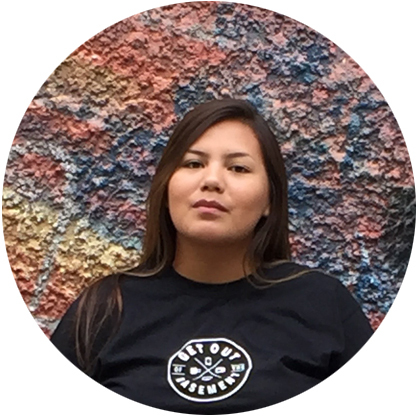 When I was sixteen, I wanted to plan a run in memory of the missing and murdered indigenous women who can no longer run along side us. I think the prevalence of missing and murdered indigenous women is a huge issue and is something we need to take a stand against. Instead of arguing, fighting, hating – we need to encourage and empower all women. I hope that one day, young people like me will see a world where everyone feels safe. As youth, we have a voice. We have an opportunity to stand up for what we believe in and a responsibility to encourage others to be open minded. As a young First Nation woman, I would like to honour the children and women that did not live to see graduation, university, college, or a long life.